Merillat Cabinet Reviews - #1 Perferred Brand by Builders! / Merillat Cabinet Reviews – #1 Perferred Brand by Builders! Merillat Cabinet Reviews – #1 Perferred Brand by Builders! 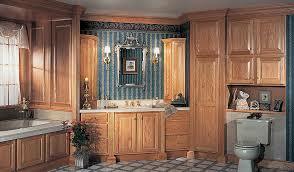 Merillat, owned by Masco, is well-known for it’s brand of cabinetry. Founded in 1946 in Michigan, Merillat boasts a long and productive history. It began with just a 2,400 foot workshop and has since grown to have manufacturing plants all across America. Merillat is the number 1 preferred brand by builders and you’ll see them in homes across the U.S. If you are looking for other homestyle American brands I suggest you take a look Thomasville cabinets and Schrock Cabinets! Overall Merillat is a great cabinet company and that is why we created our Merillat cabinet reviews and comparisons page! Merillat proudly announces that “We are America’s Cabinet Maker”. Everyone in their team comes together to produce quality cabinets and they believe their strength comes from their people. They have adopted an efficient and effective production line that allows them to create effective products. All of Merillat’s production has remained in the U.S and they have over 70 years experience that they incorporate into every unit. Merillat produce cabinets and accessories for bathrooms, offices and most importantly kitchens. 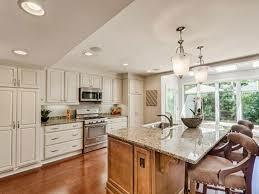 Kitchen cabinetry is where they began and It’s still their speciality today. Their craft goes beyond cabinets as they are instead creating storage solutions to implement in your home. They’ve got a diverse range of furniture, let me introduce you to the most popular units. Merillat offer custom cabinets but specialise in semi custom units that are adjustable to your needs and your home. There are several lines of Merillat unit. The most popular is the Merillat Classic while the Merillat Masterpiece is the best quality. The Merillet Basic is the most affordable with the most basic materials. Back Panel: 1/4" thick 50 pound density engineered wood with all plywood​ upgrade possible. Front Frame: Solid 3/4" hardwood, in Oak, Maple, Cherry, or Hickory. Drawers: Dovetailed with side mounted drawer guide. 3/4" thick solid wood full depth wooden drawers with a 3/16" plywood bottom. Whisper-touch system that allows silent shutting of drawers. ​Printed laminate design with matching interior and exterior. The units are built sturdy and to last with some innovative features to make them more effective in the home. Merillat offer a lot of premium finishing choices that are different from the other brands. They show themselves as specialists in the industry by providing quality from construction to finish. Merillat produce 4 main cabinet lines with slightly different specifications and prices. The best is their Masterpiece range. This is the most expensive but most durable. They offer all the great features and personalisation options to make the cabinets an asset to your home. If you need some other brands with a bunch of lines then look at Bellmont and Wellborn cabinets! Innovation is integrated into every unit. They have the newest advances in the industry like the 6 way self-adjusting hinge that allows for the cabinets to take more wear and tear. Style is always at the forefront of what Merillat produce and they make sure to keep any mechanisms away from public eye. 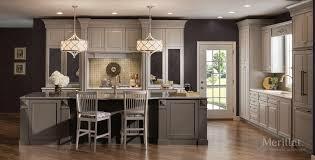 All Merillat cabinetry carries the seal of the Kitchen Cabinet Manufacturers Association (KCMA) and have to stand up to the high standards of the American National Standards Institute (ANSI). Another brand that is part of the KCMA is American Woodmark. These rigorous standards are in place to make sure they produce nothing below par. You can be sure that there is a quality product in your home. Style and function work well in together in Merillat units and all Merillat cabinetry is manufactured in the U.S so the production values remain high. Merillat Cabinets offer a lifetime warranty on the majority of their products. This includes any workmanship faults of defects in the product. The basic and essential ranges only feature 3 year and 5 year warranties respectively so it could be a better investment to spend more up front. There is a lot of feedback online about the company and it’s cabinets. and most of it is positive. We have owned our Merillat cabinets for the past ten or so years, and they still look great! They are an excellent product for what you are paying, and they have held up great! I love the quality and the customer service that Merillat offers! Customers are happy with the quality and durability of the cabinets. The price they paid allowed them great value from the units. Although the majority of the reviews we found were very positive, there were a few complaints or criticisms. Common criticisms of Merillat Cabinets complain about their laminates and a few people complain about defects in the materials. “When they arrived there were gaps on the cabinet doors - my builder spent hours fixing them. 1 year later, many doors/drawers have peeling paint" - Sara P.
For some of the laminate finishes there are issues. My advice would be to upgrade wherever possible and get some hardwood. If your budget won’t allow it then check with the dealer and see some examples of what you can expect. Except for a few isolated incidents Merillat cabinets are providing great quality in people’s homes and are well worth the comparatively low-cost! You should take a look at Cliqstudios cabinets for a compare quality and price cabinet. Merillat come in on the cheaper end of the mid range market. 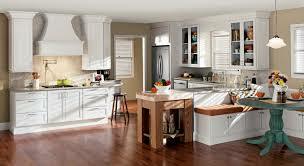 They’re more affordable than other well known brands like Kraftmaid and can add some real value to your home. In the furniture industry you do get what you pay for and Merillat have structured their company to make you favour their higher end lines. If you can stretch for their more expensive ranges then do it and you’ll be happy with the results. 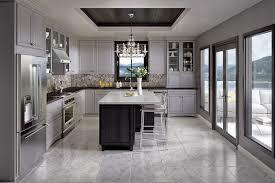 Merillat Cabinetry is a great option for lower budgets. They offer a lot of choice, creative products, good quality and a strong warranty. Be sure to check them out when you’re selecting your cabinets! Thank you for reading our Merillat Cabinet Reviews page, and if you are looking for other quality cabinets I suggest you take a look at Kraftmaid and Diamond cabinets for some real high quality pieces!